There are many great things about owning and operating a rental home in Oklahoma City, but tenants aren’t always one of them. 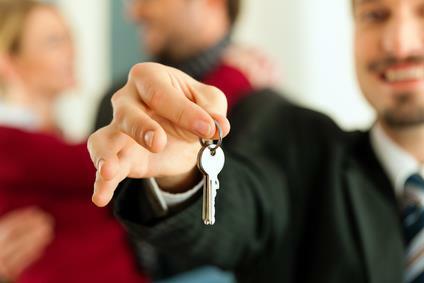 A good tenant can make being a landlord or property owner simple and even enjoyable, but a bad tenant can fill your days with stress, headaches and financial problems. That’s why Elite Real Estate takes a thorough approach to tenant screening for all the Oklahoma City rental homes we manage. Our property owners and investors frequently ask us about our tenant screening process and how it helps them. We’ve compiled and answered some of these frequently asked questions so you can rest assured your rental home is in good hands with an Elite tenant. Q: Why does Elite screen tenants? A: We screen tenants to protect you and your property. A risky or irresponsible tenant can pose many problems to a landlord or property manager, including not paying rent on time, causing damage to the property, or abandoning their lease. Tenant screening helps protect you from these problems by removing potentially risky tenants from consideration before they move in to your property. Q: What do you consider when you screen tenants? This information allows us to paint a detailed picture of the applicant and how they would perform as a tenant in your property. Q: Do you look at credit reports for tenant applicants? A: Yes, Elite does consider a potential tenant’s credit score and credit history as reported by credit reporting bureaus. If we reject a client based on their credit score or credit history, we also send the required “adverse action” letter to the applicant detailing the reason they were denied in their rental application. Q: Do you talk to an applicant’s previous landlords? A: Yes, Elite contacts listed landlords for an applicant to verify that the tenant treated the property well and cared for it like it was their own home. We also verify with the previous landlords that the tenant was never evicted, never abandoned their lease, had a good rent payment history, and left the property in good condition when their rental ended. Q: Do you keep written records of tenant applications and screening decisions? A: Absolutely. The Elite team is careful to provide detailed documentation to property owners on the tenants that rent a property. We also keep documentation on rejected tenants to protect ourselves and you from lawsuits or other legal action. Our team is always careful to act in the best interests of our investors and their properties. Q: Do you ever make exceptions in the tenant screening process? A: Every applicant who applies to rent your property is screened equally and held to the same standard. At Elite, we are very careful to hold ourselves to Fair Housing standards and never reject tenants for reasons that could be considered discriminatory. We’re very knowledgeable on housing laws and tenant screening, so you can be sure any tenant that we approve will be a good one. If you want to learn more about Elite Real Estate’s tenant screening process or any of our other property management services, contact us today. We can answer all your questions and set your mind at ease. There’s a reason we’re one of Oklahoma City’s most trusted rental home managers - we do great work for our property owners! Call us today at 405-285-2635 or follow us on Facebook and Google+ to learn more about our services and competitive property management rates.